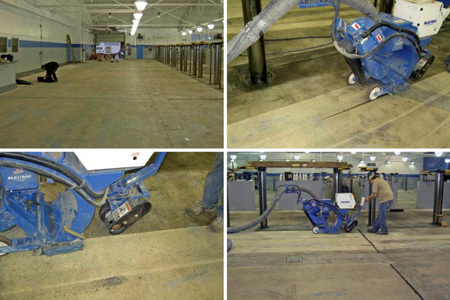 Shot Blaster | Floor Coatings, Etc. 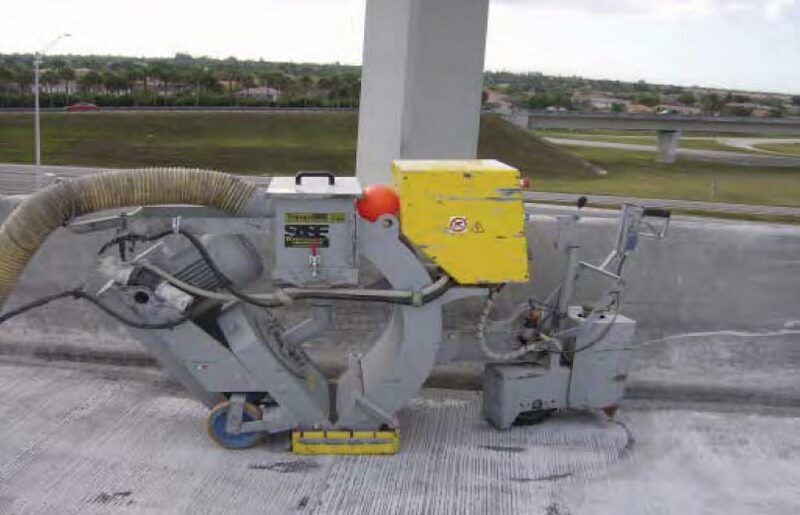 This 480-volt 3-phase vacuumized dustless Shot Blast unit can effectively remove some mastics and thin-film coatings, but is primarily used with various size steel shot (BB’s) to clean and profile the surface of the concrete to create a sandpaper finish to which ANY coating will bond tenaciously. We have eight (8) of these units in our arsenal. We always have two complete shot blast units on every job. If one breaks down, we have a back-up. This 20,000 sq. ft. service area was completely shot blasted, holes and cracks repaired, joints filled and a three (3) coat 65 mils full aggregate broadcast system was installed starting at 3:00PM on Friday. The customer was OPEN for service at 7:00AM on Monday.